Practical uses for IEC 61850 in Medium Voltage Reclosers | D'Ewart Representatives L.L.C. 31 May 2017 Brisbane Australia – If a utility engineer has ventured anywhere near an industry conference in the last 10 years it could be assumed that they have been exposed to the new universal communications and substation definition standard of IEC 61850. Whilst it has been successful in the electricity transmission space, it has seen very little usage in distribution networks. IEC 61850 has been generally constrained into deployment in substations, allowing the replacement of conventional copper control systems with optic fibre and greatly simplifying the mechanical development of new substation builds. 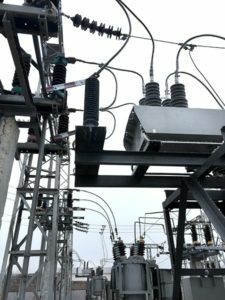 With these proven field benefits, it stands to reason that the functionality would eventually move into the distribution space, as manufacturers transfer capabilities from substation relays through to other forms of distribution equipment. In practicality, many utilities around the world don’t operate their transmission networks, and as such the appearance of IEC 61850 on the distribution network can be an intimidating technological step. Fortunately, there are others which have been through this, and with the NOJA Power OSM Recloser system releasing IEC 61850 as standard in the RC10 and RC15 Recloser Controllers it is well worthwhile to explore some of the proven applications of this feature. At the risk of a gross simplification, IEC 61850 is standard for the definition of electrical distribution network assets. It uses an object based method for defining what each substation entity is capable of. For example, there is a standard name for a circuit breaker, or a Voltage Transformer, or a switch. Any asset in an electrical network will fall into one of these categories, and IEC 6180 defines a list of states or attributes to any asset, (eg, Circuit Breaker, CB, has Open or Closed state). This object-oriented method of describing assets is very useful when trying to merge a great variety of assets into a single control centre. For many years, one of the most insurmountable challenges for utility engineers is the development of a holistic standard for their network assets. For integrated distribution devices, such as Automatic Circuit Recloser, the device is a composite entity, in that it has a circuit breaker, relays, VTs, CTs, and other attributes. Therefore, as far as IEC 61850 is concerned, a Recloser can be broken up into its composite components and addressed individually. IEC 61850 therefore provides utilities with the capability to integrate their ACR assets with other IEC 61850 controlled devices, but most of all, provides them with the ability to isolate individual functions and standardise control and communications to these end assets. IEC 61850 has two major methods of communication, MMS and GOOSE. MMS is analogous to the communications protocols of years gone by, such as DNP3 and IEC 60870-5-101/2/3/4. MMS is a direct communications method between the Server and Client (or Master and Slave in DNP3 terms). The greatest difference between the new and the old, is that the new system is a self-describing system. Removing the communications packet format, a reported DNP3 Binary point could be “DNPID 1 is 0”. If the master station doesn’t know what DNPID 1 is, then the message would be useless. IEC 61850 MMS would be far more verbose: “The Circuit Breaker Number 01 State is now Open”. It’s a concept which makes a lot of sense – when older generations were the equivalent of “light on, light off” communications of the past, IEC 61850 has full disclosure. In the case of an autorecloser, the message specifically tells you what device it came from, what it says, and what needs to occur. Obviously, the overheads associated with transmitting such large amounts of data requires a fast communications network, and GOOSE messaging especially should not be considered on anything less than fibre optic communications. For MMS, the performance would be reasonably competitive on a 4G or 3G network, but the advantages would certainly need to outweigh the additional data charges. IEC 61850 is the equivalent of removing the need for context in communication – no need for a matched point map that IEC 60870 or DNP3 required. Therefore, the first major advantage of IEC 61850 in Distribution Network applications is the ability to standardise the points list. Since the IEC 61850 configuration file for any asset in the field can be easily standardised, this translates to the end asset in the field. Furthermore, Substation Relay/Circuit Breaker pairs can have the same data points as what field reclosers do. With Automatic Circuit Reclosers being deployed more and more frequently in substations, it is obvious why IEC 61850 is being deployed in these devices. IEC 61850 also offers utility users another messaging specification: GOOSE. Generic Object Orientated Substation Events are a form of short message system, which has a very short communication time, an order of magnitude faster than the MMS or DNP3 equivalent. GOOSE offers a high-speed communication where there is no handshaking or confirmation of a received message. It is a one-way communication, where the broadcaster proclaims the message, and the onus to act is placed on the receiving devices. GOOSE messaging is a method for communication which allows for blocking functions between substation breakers or installations, replacing the need for wired copper contacts for such schemes. GOOSE Messaging in reclosers is particularly useful in substation environments where the devices are deployed, as the blocking schemes can be used to prevent spurious trips due to parallel feeder earth faults or network automation issues.